Widely available and publicly accessible charging stations are one of the most important prerequisites for mass adoption of electric vehicles. Charging scarcity makes owning an electric car pretty difficult and inconvenient in many regions of the United States, but there are several cities that offer the conditions that are necessary for encouraging EV ownership. The Indiana University School of Public and Environmental Affairs has conducted research to see which U.S. cities create the best environment for an EV owner to live in, analyzing the policies aimed at promoting the use of electric cars, on top of the existing charging infrastructure. The results of the study are a little surprising, given that the top spot on the list of most EV-friendly is a city outside of California, the state largely considered at the forefront of EV adoption. In the report titled “Plug-in electric vehicle readiness: Rating cities in the United States”, researchers rank the 25 most populated cities in the U.S., in addition to five other cities that were analyzed in earlier noteworthy studies on electric cars. Surprisingly, Portland, Oregon, is the top U.S. city in terms of electric vehicle readiness, thanks to factors like good public charging station density, special parking privileges, and high-occupancy-vehicle lane access. These factors are in addition to state purchase incentives for electric vehicles, which are offered in the top six cities on the list. 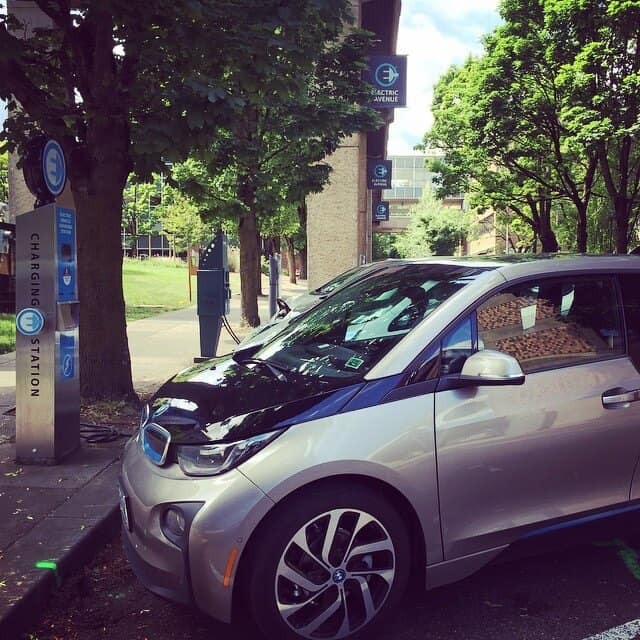 Washington, D.C., New York City, Baltimore, Denver and Los Angeles accompany Portland in the group of six most EV-friendly cities. Atlanta; Chicago; Austin, Texas; and San Francisco round out the top ten cities. The report goes on to state that the lack of financial incentives toward the purchase of electric vehicles is the main reason that has put the following cities at the bottom of the list: Charlotte, North Carolina; El Paso, Texas; Detroit; Portland, Maine; Providence, Rhode Island; and Columbus, Ohio. “If a city and state are not offering policies to make PEV ownership more attractive, it may be difficult for car dealers in those states to move vehicles off the showroom floors,” researcher Sanya Carley said. The main point that researchers want to make through this report is that implementing policies that reduce the overall costs associated with owning an electric car, in addition to the purchase price, are key for encouraging consumers to switch from gasoline-powered vehicles to plug-in cars, given that conventional vehicles are generally more affordable and less expensive to maintain.